Mr. Boksebeld is an enthusiastic system/business analyst/architect with extensive experience. He quickly finds his way into a new organization and is always driven to deliver a good result. Remco has extensive experience in process design, requirements analyses. This experience is theoretically underpinned by knowledge acquired from training and certification. Mr. Boksebeld started after obtaining his bachelor degree (2006) in business informatics as a junior application designer at Getronics PinkRoccade, where he grew in a small time period to a medior function. At the moment Mr. Boksebeld has become a senior consultant and has had a leading role is several big projects. Next to those roles Remco coached several colleagues on personal and professional levels. Besides his work Remco completed a master study in information systems architecture and leads a scouting group in Raalte. Product owner for an IBM BPM team (~12 team members) within an agile SaFe program which hasthe goal to deliver a system that collects all the declaration taxes at the dutch taxoffice. Analyses of the processes and application of the municipality of Groningen to determine the impactof the SEPA (Single Euro Payments Area) legislation, Based on the impact an implementation planwill be developed in order to make the municipality of Groningen SEPA ready. Analyses of the processes and systems which handle payments in order to architect a solution(process and system) which makes these processes and systems SEPA (Single Euro Payments Area)ready. Analyses of the new (2013) legislation for allowances (toeslagen) and the implementation thislegislation with the help of Functional Model Driven Development (FMDD) business rule method. Analyses of the maintenance repair processes with in the housing cooperation Vestia, with the goalto achieve more efficiency and customer satisfaction. This resulted in a solution which lets customers plan repair appointments with different externalcontractors. The solution supports a multi-channel approach. The region was Haaglanden data exchange in healthcare a complex story where innovation was difficult to achieve. Capgemini won the contract to modernize the data to me. Remco Boksebeld fulfills the role of systems analyst in the software development part of the project and is thus responsible for a correct specification of the customer’s demands towards a functional solution. 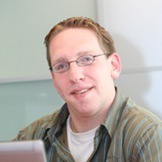 Within the solution SOA techniques where used and the HL7v3 information standard, Remco Boksebeld had extensive knowledge on these techniques. In the summer of 2011, the on-board computer taxi entered, with the aim to improve road safety. Through the on-board computer taxi the driving and rest times for drivers are registered. These drive and rest periods are checked with legislation. Capgemini has developed an application too perform this check. Mr. Boksebeld fulfilled the role of Solution architect and lead analyst within the realization project and was thus responsible for the information analysis, design and architecture of this project. By the profound knowledge of the Mr. Boksebeld about the processes, the project quickly and correctly developed. The project is currently being finalized, at the end of 2011 the solution will be implemented. The tax authority was the politically forced to improve the allowance processes. To this end, it has a developed a new event driven process architecture which is detailed and realized within the program toeslagen 2009 which will be realized by Capgemini. Within this project Remco Boksebeld fulfilled the role of Lead Analyst and was responsible for several components within the system. His work was to direct the analysis team, do analysis of the supporting processes and generate system specifications so that the necessary functionality could be developed. Through the efforts of Mr. Boksebeld is the project was capable too exchange data with other systems within the tax authorities. The project will go into production in the summer of 2011. In the toeslagen 2009 program a new process architecture for the allowances for the Dutch citizens is realized, Mr. Boksebeld contributed to the design of a letter generator for the portal. Through these letters generator communication with citizens will be performed in a standardized manner. Mr. Boksebeld has ensured that there was a standardized yet flexible solution designed and (in India) realized. This part of the system is taken successfully into production in 2011. IVW checks the driving and rest periods for truck drivers through the ATW law, this check occurs both along the way as afterwards at the company. Because of the introduction of new digital tachographs IVW wished an application which could support this. Mr. Boksebeld was the lead analyst for this project. In addition to the management and coaching of analysts was he was responsible for managing the requirements and the Organization of workshops to narrowing the requirements. The project has been to the great satisfaction of IVW realized and produced. The University of Groningen was confronted with the fact that her “students registration system” reached the end of its life cycle, and needed to investigate the replacement of this system. Mr. Boksebeld, preformed an analysis of the current education processes and the expected future developments and made based on those findings a package of demands. This package of demands has been used to purchase a new student information system. It also contributed to the shaping of new processes around the students enrollment and describing the business case around this replacement. Preformed analysis of the student enrollment process for the current and future situation (after implementation Studielink) for multiple customers. Based on this analyses a functional design was made which was realized within the SaaS solution which was offered to customers as a SaaS solution. Student information Systems was realized which is offered as a SaaS application for multiple tenants. At the first release used by 2 customers with a student population of +/-15.000 students. For the NHL a ODS was designed to streamline the data exchange of student data. The ODS was realized with use of the IMS industry standard for student data. A ODS which is used for the central management of student data was realized. Analysis of health care processes for intake and relationship management. Based on the information analysis requirements where defined and compared to software solutions to find the perfect match for the customer processes. Remco Boksebeld was responsible for the design of a data input module for rent and healthcare allowances. Remco Boksebeld made the design of a windows application for filling application forms with automatics update functionality. With this application lawyers can apply for substitution. Remco Boksebeld designed a PDA application for managing the storage and retrieval of files at the UWV.